I exchanged email with Qigang Chen last week. His orchestral work Iris Devoilee is on the program for the Shanghai Symphony concert this Friday, November 20, at the Granada. Have you ever heard anything else that is like this piece? No, never. Nor am I aware of any other orchestral works centred on the depiction of the many-faceted female psyche in existence. How did you imagine it at first? The starting point really was my own experiences with life as well as with composing, whereas the specific inspiration was, of course, my understanding and appreciation of the female of the species. 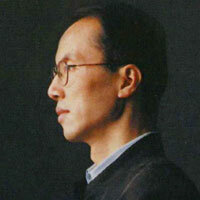 In 2000, I collaborated with (the Chinese director) Zhang Yi-mou on the full-evening ballet, Raise the Red Lanterns. This project gave me the opportunity to work with Beijing Opera singers, which led to more in-depth understanding of that genre, and this in turn had an impact on composing Iris Devoilee. Should women rejoice when they hear this music? I would imagine the female audiences’ reaction would vary considerably, depending on their nationalities and ages. There’s such a vast cultural difference between the American and Chinese mentalities, that I wouldn’t be surprised if the American audience find the piece quite baffling. But in my previous experiences, both the European and the Chinese took to it easily. Does it praise women? Does it criticize women? Neither-the nine movements are my impressions and depictions of some (stereo-)typical female traits. How large is this project? Does the program of November 20 reflect the completion of this work, or will it undergo further development? It’s a complete work for now. Does this work express a sense of history? If so, what history is that? Not really. I think it’s best perceived as a transfigured summary of the life experiences of a fifty-year-old man, and his reactions to it.